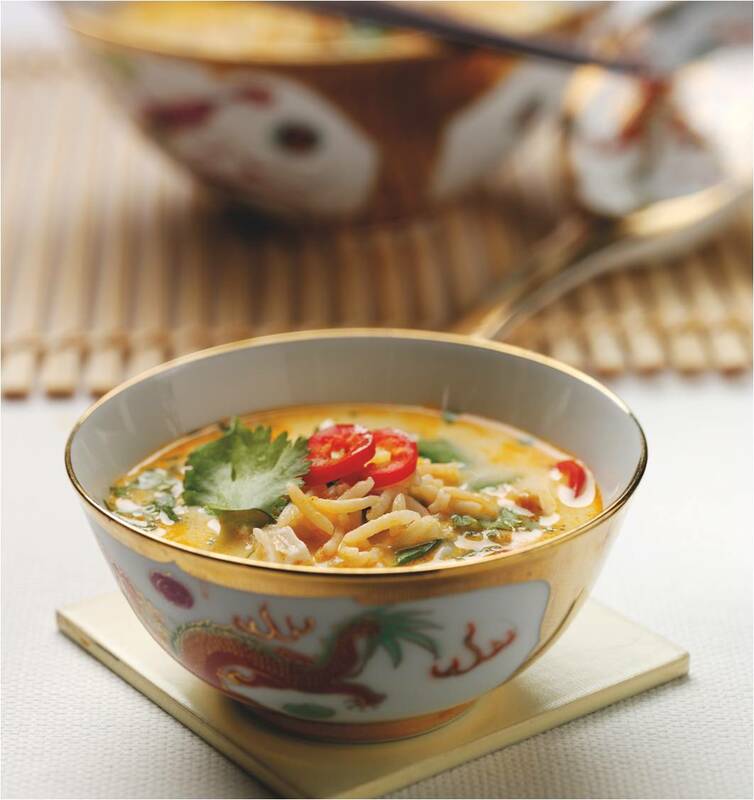 Place the stock, coconut milk, ginger, lemongrass and chilli in a large saucepan and bring to a simmer. Add the chicken, pak choi and rice, simmer for 5 minutes. Off the heat, stir in the lime juice and coriander and then serve immediately. Cook’s tip For a vegetarian option, use vegetable stock instead of chicken stock and replace the chicken with 150g diced firm tofu.